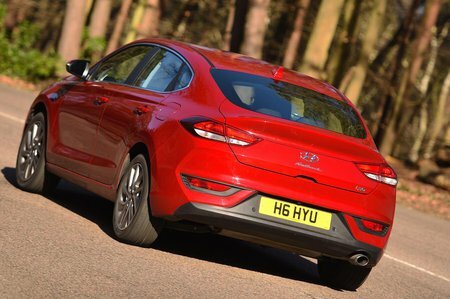 Hyundai i30 Fastback Boot Space, Size, Seats | What Car? This is usually the area in which five-door 'coupé hatchbacks' traditionally suffer. And yet, the i30 Fastback is actually quite acceptable. Rear head room has been compromised somewhat, but there is still enough space for an average-sized adult, while the boot is actually larger than that in the i30 hatch at 450 litres (versus 395 litres in the standard model). 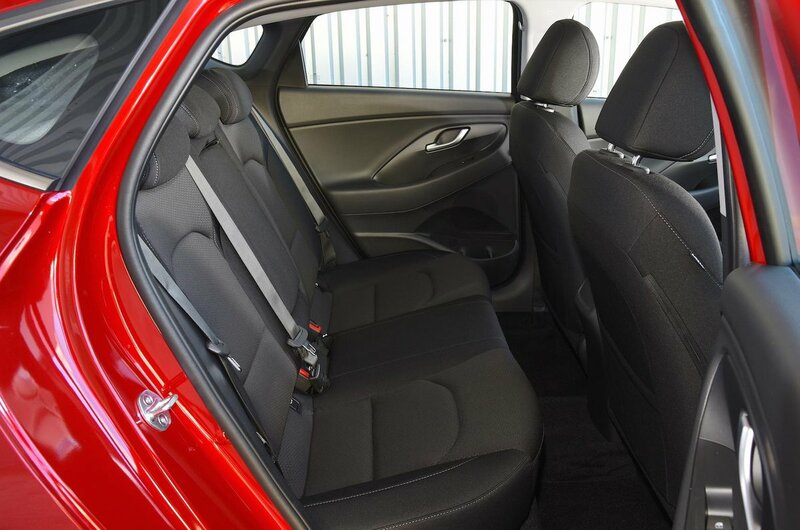 Like the hatch, the i30 Fastback has 60/40 split-folding rear seatbacks as standard, but that’s the extent of its repertoire; the rear seats don’t slide or, as with the Honda Civic, fold upwards to provide more space. There is a through-loading hatch on all models for long items such as skis, though.